It's the night before Thanksgiving and all through the house... just teasing, we know tonight all the "creatures" will definitely be stirring! Hopefully you are all prepared for the big meal ahead of you tomorrow and to help you sit back and wait for it we thought we'd give you some ideas on how to celebrate the much-needed break. Thanksgiving Eve is one of the biggest nights to go out nationwide so with that in mind we are bringing you some outfit inspo and some warm cocktails to get the night going! First the drinks --- whether you want to keep it organic before the feasting tomorrow or just lay it on thick this break, and hey, no judgement either way ;) we have two ideas that sound simply to die for. Once you have the essentials, its quite simple to make. Just heat the apple cider in a pan on low heat. Add cinnamon and remove from heat once it begins to boil. Pour into mug over 1oz of spiced rum and stir. Add as much whip cream as you want! 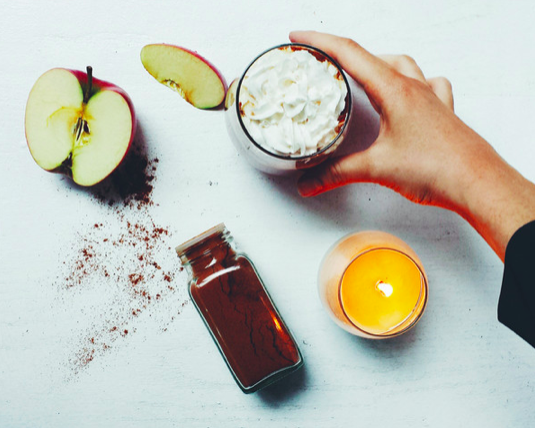 The girls at Sakara like to keep everything very healthy and if it tastes good too, why not! This has more going on but is just as easy! Cook bacon until crisp, pour fat into a bowl and stir in corn starch. Next, for the hot cocoa - in medium saucepan, stir cocoa with sugar and salt. Stir in bacon fat/corn starch mixture, milk, milk chocolate, and bittersweet chocolate. While stirring constantly, heat over medium heat until chocolate is melted and mixture is hot. Add Frangelico and bourbon. Pour into individual serving cups. 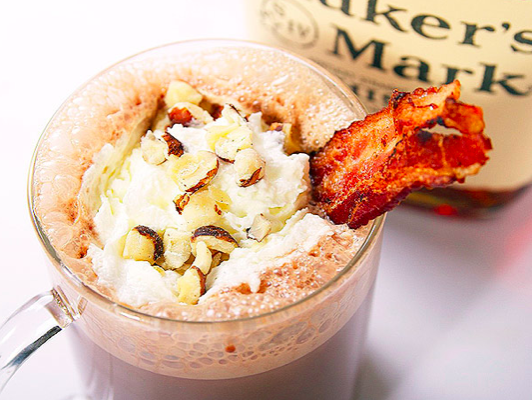 Top with whipped cream, chopped toasted hazelnuts, and a strip of bacon. Serve immediately! Now if those two do not warm you up and get you ready for the night we don't know what will! 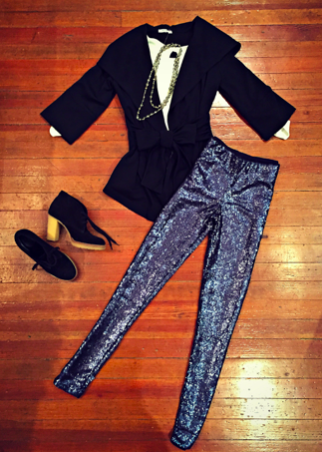 Go bold in navy sequins and a cute jacket with this look! Dress it up or down with accessories, either way you will be receiving many compliments, prompting everyone you run into to wonder what you've been up to this year. 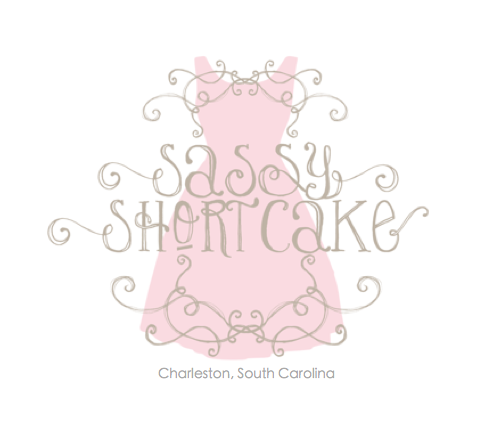 All in all, we at Sassy Shortcake hope that you have the best Thanksgiving holiday with your friends and family. Stay safe, have fun, and remember to keep tuning in for more Sassy Girl news headed your way! P.S. Need a game for the adult crowd while the birds in the oven? Check this out to warm up for the meal!